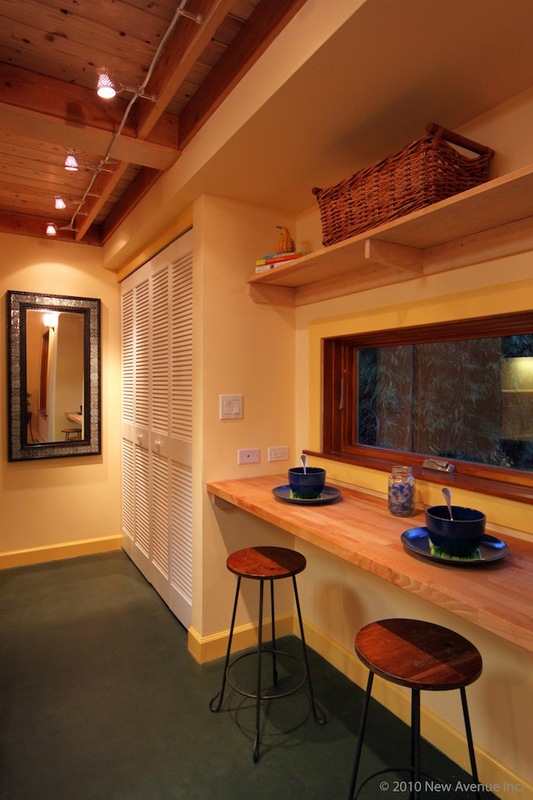 This Berkeley tiny house has been getting a fair amount of attention recently. 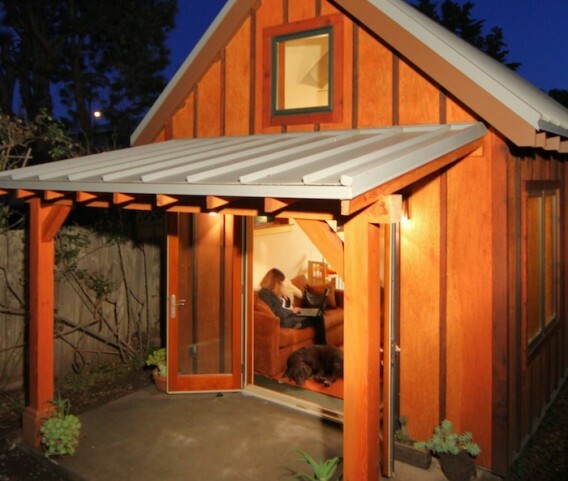 Built by New Avenue, Inc., the 420 square-foot backyard cottage is spacious enough to include a living room, kitchen, dining area, loft, and bathroom. It was built for $98,000, which includes all the bells and whistles one could ask for in any home regardless of size. The owner is Karen Chapple, an associate professor of city and regional planning at UC Berkeley’s College of Environmental Design. 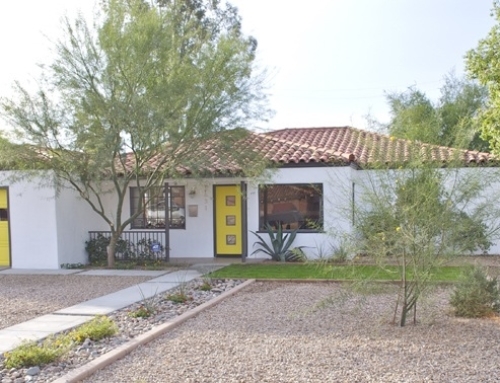 She powers the home with a 1.67 kW solar array on the main house that is leased through Sungevity. 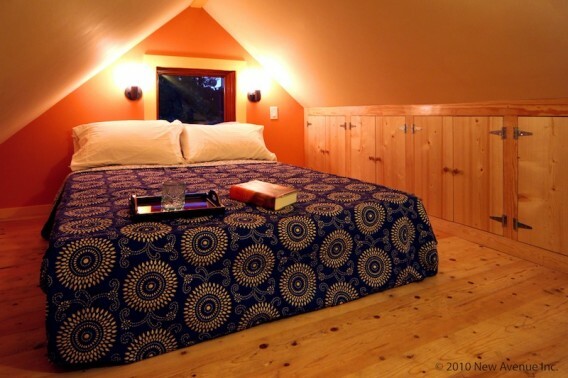 Karen’s Cottage has an insulated concrete slab, 2×6-construction walls, R19 recycled denim insulation, insulated hot water pipes, an on-demand (gas) water heater, and Marvin Integrity windows with low-E insulated glass. 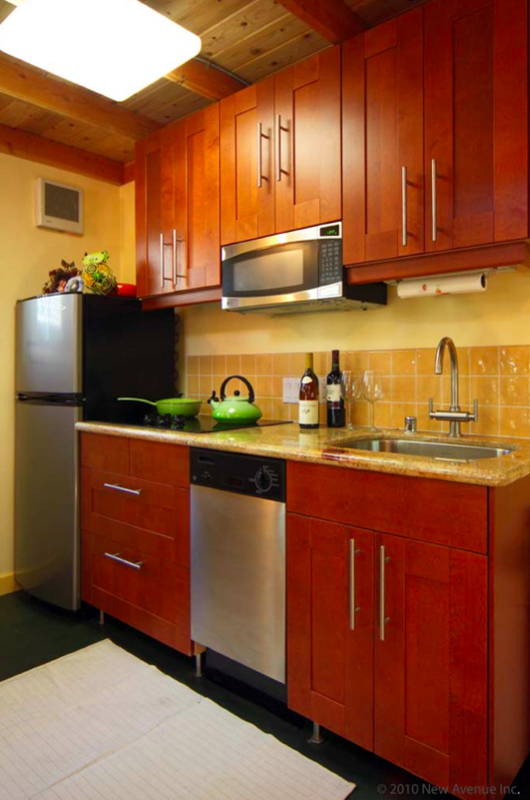 Chapple also installed IKEA kitchen cabinets, an induction cooktop, and an Energy Star dishwasher. 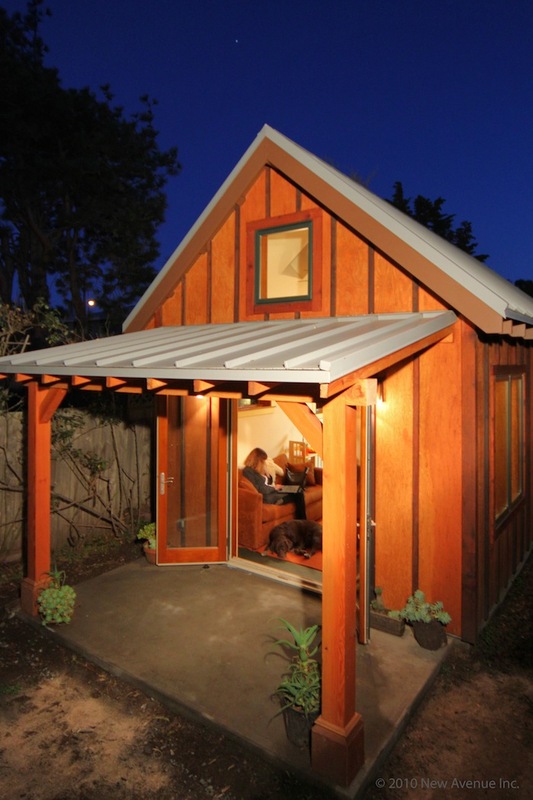 The structure is what many call a “backyard” cottage or accessory dwelling unit. I understand Chapple will lease the cottage when not in use by relatives and other visitors – providing an income stream to help pay for the mortgage. New Avenue sees the future in these ADU-type buildings. The start-up can do everything start to finish as a one-stop shop for design, engineering, construction, and financing. Kevin Casey, founder and CEO of New Avenue, told me in an email that his company has four other homes in the works and expects to build about 10 or more this year. Where’s the Washer and Dryer?? I hope inside that white closet by the dining area? $100k… There aren’t many with that kind of money to throw around who have any interest in sustainable living and small homes. Something like this is destined to be a backyard trophy home, so I can’t imagine that there’s going to be much demand. I see this kind of thing so much on this blog since I’ve been following it. The designs and style are ingenious, but what is the point of providing sustainable alternatives if only a small minority can afford them? Assuming that they did not include the land in that price they’ve got about $233.00 psf cost. Yowza, I could have built that for about$ 64.00 sq ft max even in our high price area, and still make a small profit! Thank you for your insight, Aaron. Yes, it’s true. I love the compact, finished look and feel of this home but it does not address the reason for going small in the first place–affordability! I should add that I’m not ranting about the blog. Cutting edge design is typically focused on the luxury market. For cutting edge green design to do the same is just stupid. There are toilets that take up less space. 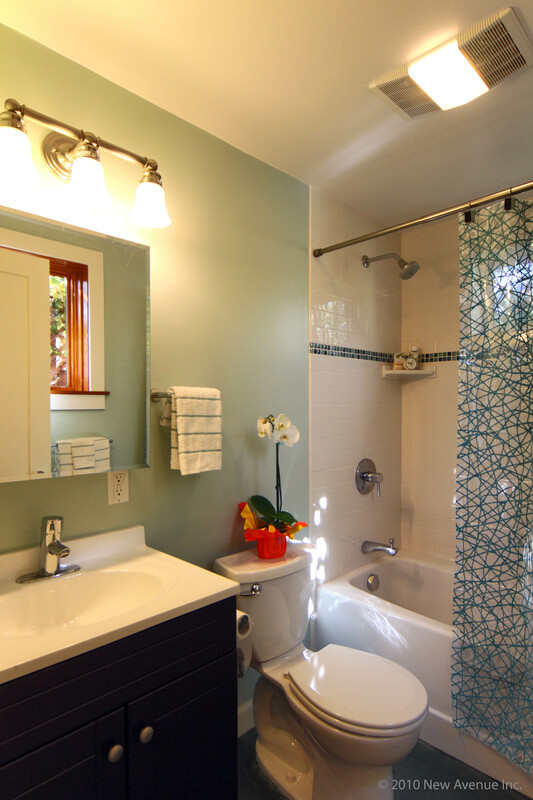 If the bathroom were to be a wet room, a water-resistant toilet paper holder could be bought at a boat supply store. Very interesting. I would imagine the cost is more for the location than the actual building supplies. 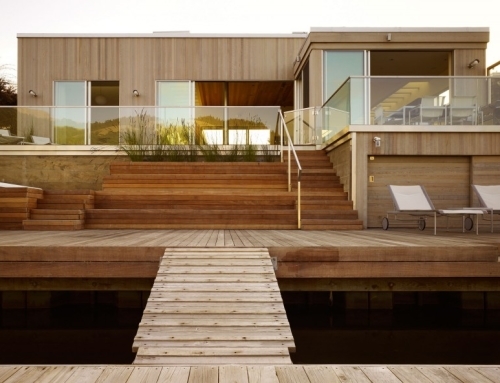 Although I would say it is green, there is no mention of the prefabricated wood panels that was used? very cool. i think i may get a little claustrophobic in that small of an area though. i’ve been learning a lot more about eco-friendly living and different ways to make your life green. 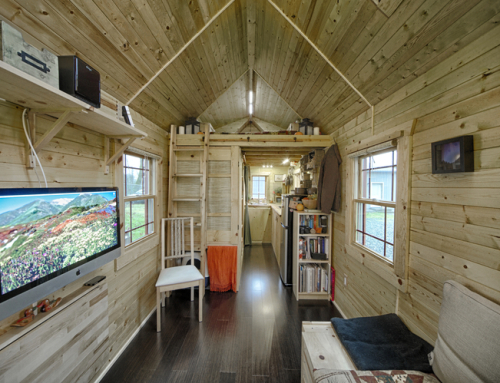 i don’t think i could go as far as living in a 420 square foot home. Thanks for covering this story Preston. It is inspiring to see how easy it can be to achieve such a cool result! I know I work with Sungevity so may be conflicted but this strikes me as the sort of good news story we need more of across America. Shine on, dannyk. Wow, it is very good to see that Karen Chapple, is practicing a condensed living situation. I would like to see how it is situated on the lot. The price does seem a bit high, working out to $204/sq ft. I am sure most of that is in equipment, but high still. The good thing about a project this size is that you can DIY it, and that shaves a great deal of expense. 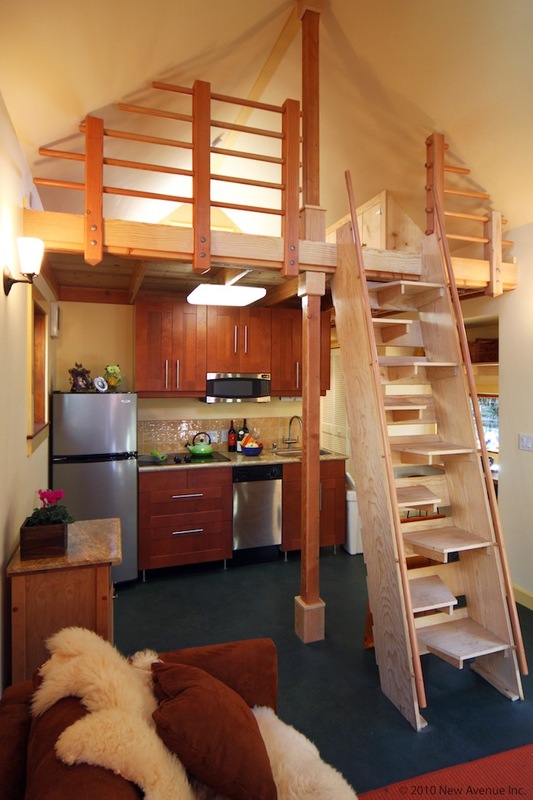 This is the old “garage apartment- studio home” concept with a new twist ! Gone Green! Love the home! what are the dimenstions? 22 x 16? Nice home but for most folks it’s too expensive. One can build a home with friends and free supplies from Craigslist and ect for so much less. We as a society we have to deal with the building codes and try to over turn the red tape that is not letting small or tiny homes a reallity.